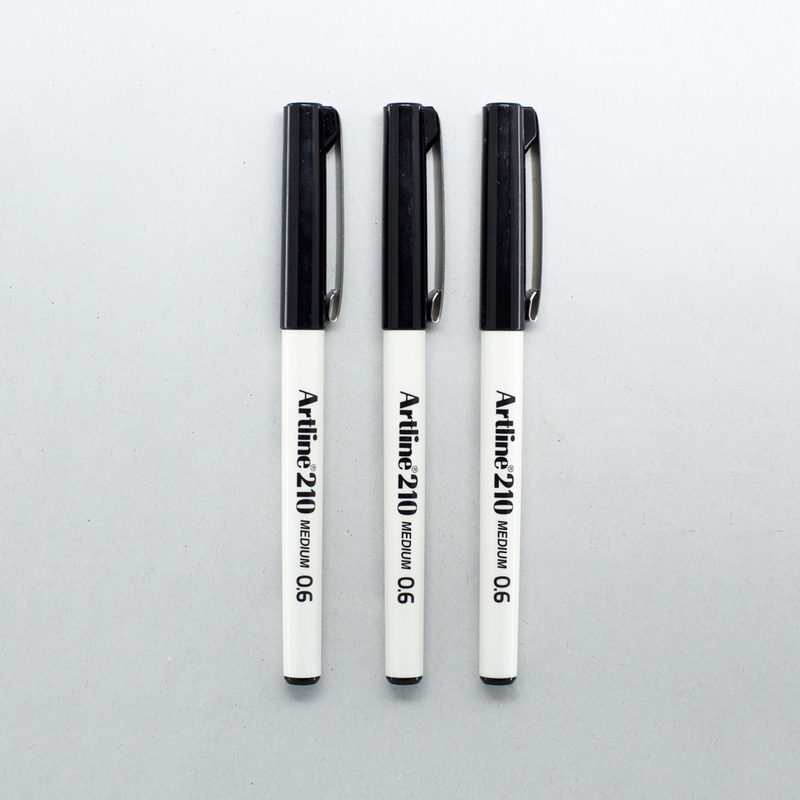 We currently sell two styles of the Artline black felt pens – the Artline 200 with a fine tip and the Artline 210 with a medium tip. 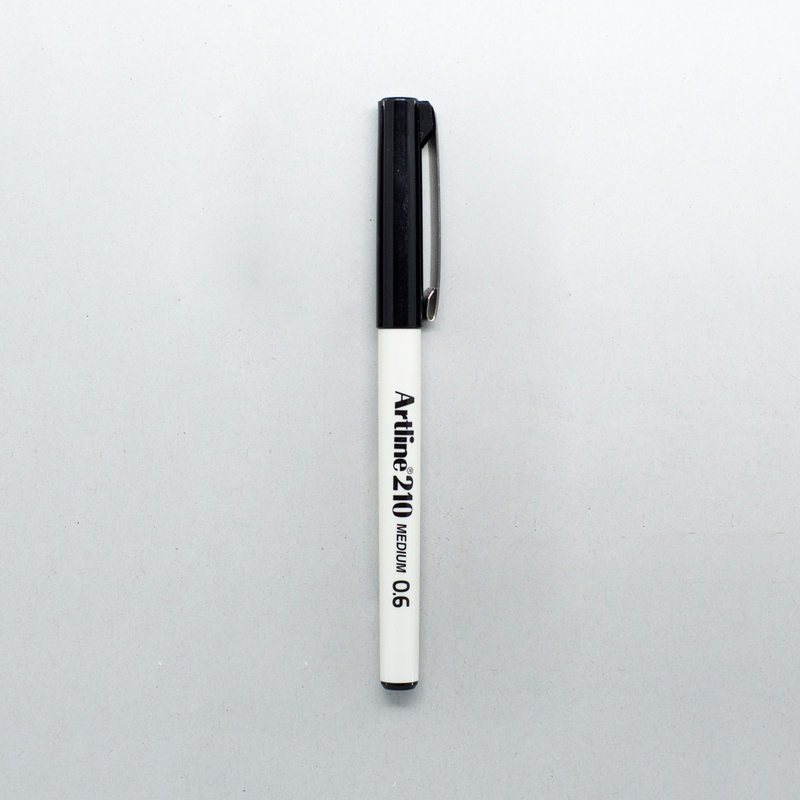 Both of these pens can be bought in packs of three or singularly. 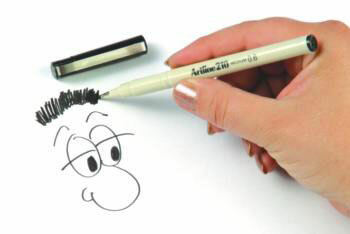 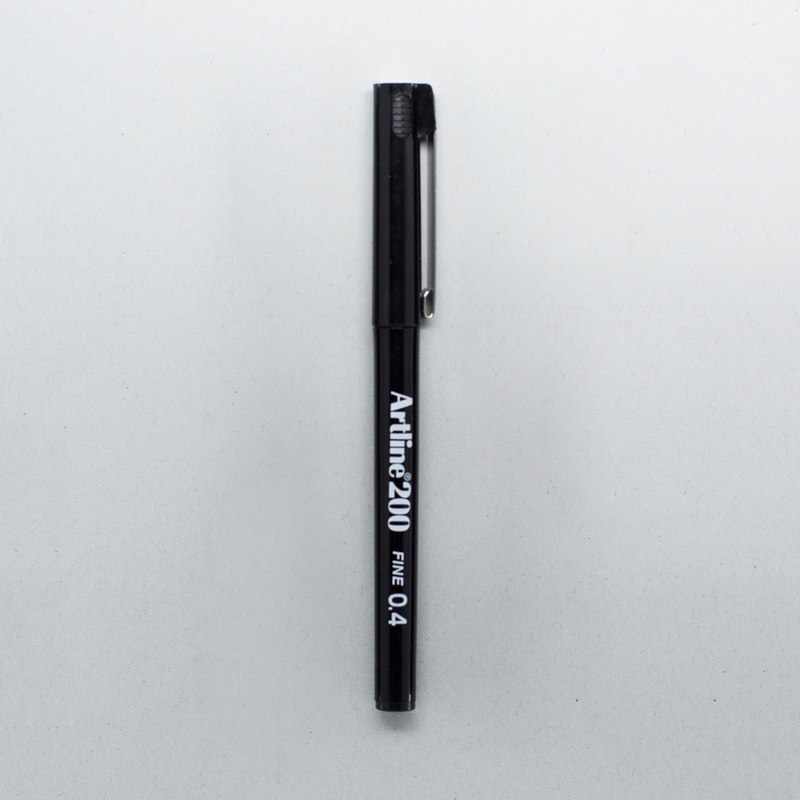 This Artline pen has a bold medium thick 0.6mm tip with black ink for excellent contrast.